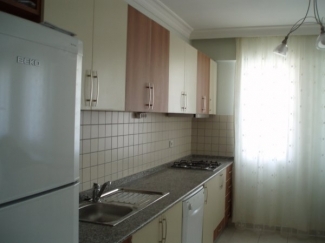 This is a spacious open plan apartment conveniently situated near Calis Sunday market. The dolmus(bus) and some shops, bars and restaurants are within 5 min walk. 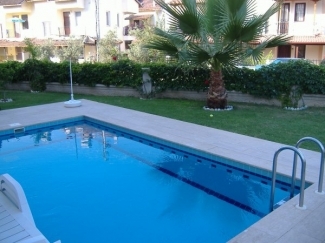 It is a level easy 15 min walk to main beach and restaurants of Calis and water taxi to Fethiye. Numerous trips and excursions are available as organised tours or by local transport. 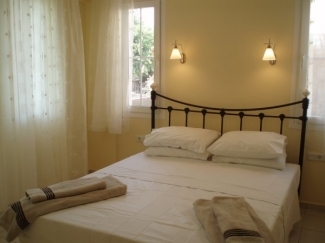 The apartment benefits from air con in each room, insect screens and shutters, a great help in keeping cool. The kitchen is well-equipped with a dishwasher, hob, oven, microwave, kettle and toaster, a full range of cooking and serving utensils and crockery. There is a hairdryer, TV and DVD player with a selection of DVDs and a digital safe. Sunbeds and plastic chairs are provided for the poolside. Transfers can be arranged from the airport. A welcome pack tailored to your requirements is available. SPECIAL OFFER-�50 OFF ALL ABOVE PRICES! �50 reduction on 2nd week. 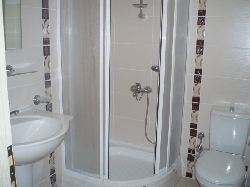 Mid stay clean and linen change �35 if wanted, linen change only �15.